Recently, many of you have commented on my bookshelves via bookstagram and Twitter. 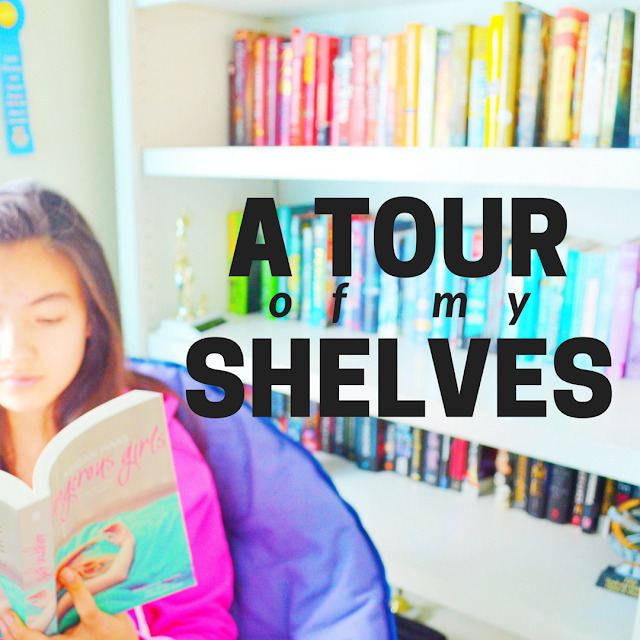 With my mounting interest in bookish photography and color schemes, I thought it would be fun to share an official bookshelf tour! I posted something similar a couple months ago, but seeing as I've re-arranged my shelves, an official tour post is fitting. Previously, I organized all of my bookshelves alphabetically, which made for an interesting mishmash of colors. 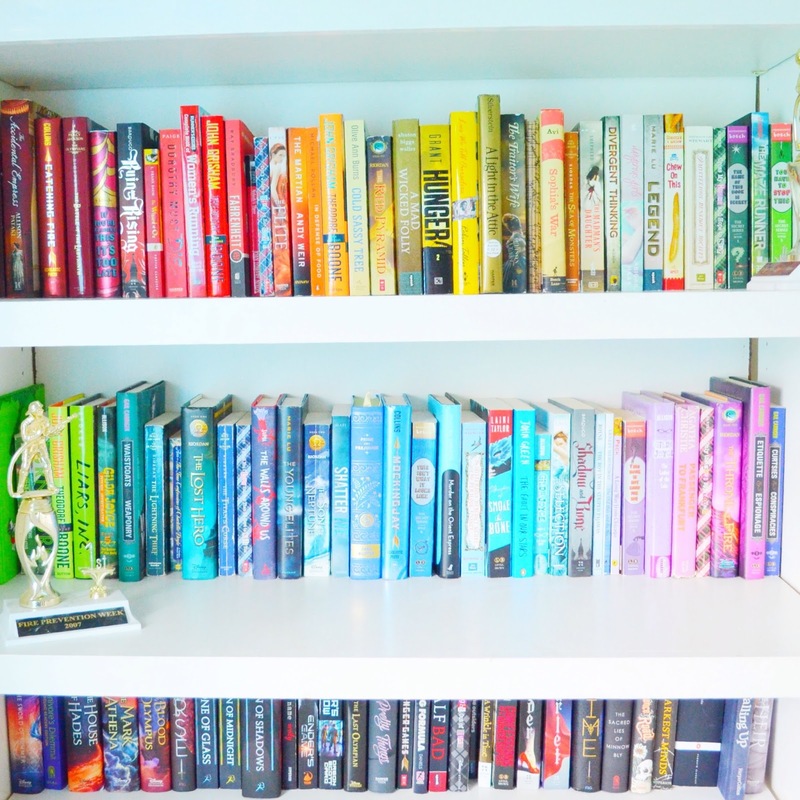 Since, I have re-organized all of my tomes by color to create a novel rainbow. About a month ago, I convinced my younger sister to aid me in removing all of the books from my shelf, and sorting and re-shelving them. Sorting everything by color first before re-shelving allowed me to take inventory of the selection of books I own. I also (unconsciously) started an almost-series on my instagram featuring stacks of different colored books. 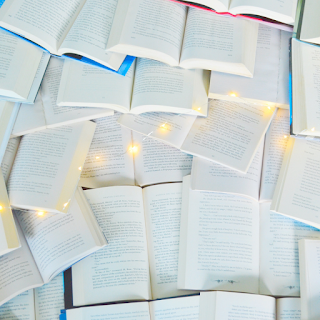 I have two white bookshelves in my room, and the extra space yields decoration opportunities. I used to only own one, but when I moved to my new residence, I somehow ended with both in my room. I actually received them from a nearby neighbor who also moved before, and my family and I spray-painted them white. The shelf on the left is my regular assortment of books, whereas the shelf on the right is primarily decoration-and-school oriented. I primarily own YA (young adult) titles, although I do possess a fair share of MG (middle grade) and adult categorized stories. Surprisingly at first, but really unsurprising after later consideration, I own the most black-colored books above all other colored stories. My latter shelf contains my Harry Potter books, which I treasure so much that I had to separate. (I am aware the Divergent series exists there as well, but only because I have yet to move them after alphabetizing.) The upper sections of this shelf contain tokens I acquired at a trip to Korea, while the lower sections house school-related things and some key items, including train letters that spell my name. Both shelves stand directly by a large window in my room, opposite from the door. This permits an optimum amount of natural light for reading, and, you guessed it, photography! In the future, I plan to continue using my shelves as a backdrop for photography, although I am still undecided if I will leave them color-coded or re-arrange them once more! Aww, thank you so much Sydney! I totally recommend reorganizing -- changing up my bookshelves every few months never fails to leave me refreshed. I completely understand the need to keep series together! 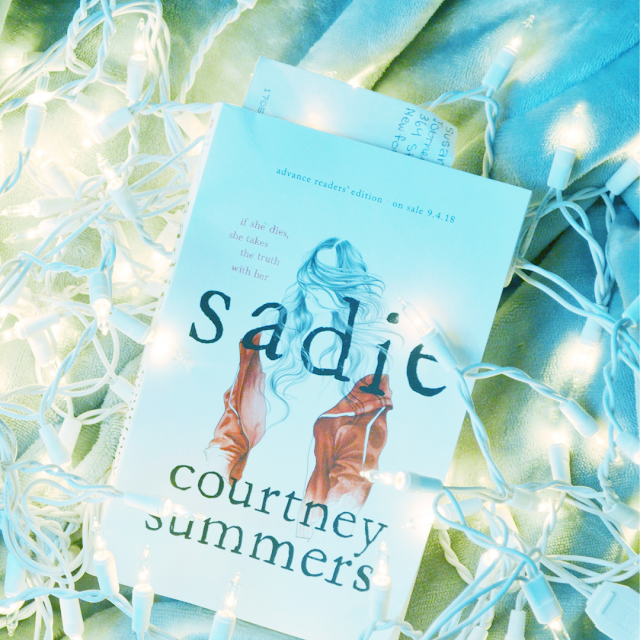 For a long time, it's what kept me from re-organizing my shelf by color, but Alyssa Carlier @ The Devil Orders Takeout convinced me to take the plunge! *high fives* Fellow colour-coded shelver! I also have the most black books, while I have the fewer orange/green books -- it is so annoying to make it aesthetically pleasing. I'm still trying to work on a system to rearrange my books well. Recently I've noticed I have few white books in addition to orange and green. Arrangement is somewhat difficult, especially if I suddenly buy or acquire a new book (shifting everything over can be a struggle 😂 ), but I love the aesthetic! Thanks Geraldine! Decorations are always fun additions to shelves. I've been thinking about adding Funko Pops and fairy lights to my shelves if I can purchase them sometime soon. Gosh, your room is so beautiful and bright! I envy it! I don't own bookshelves, which seems like a book lover sin. I tuck my books away in boxes in the closet. One of these days though, perhaps when I have a bigger apartment, I look forward to displaying my books. Thank you! I have a couple of friends who store their books on closet racks, but before my most recent move I was lucky enough to acquire these from a neighbor. 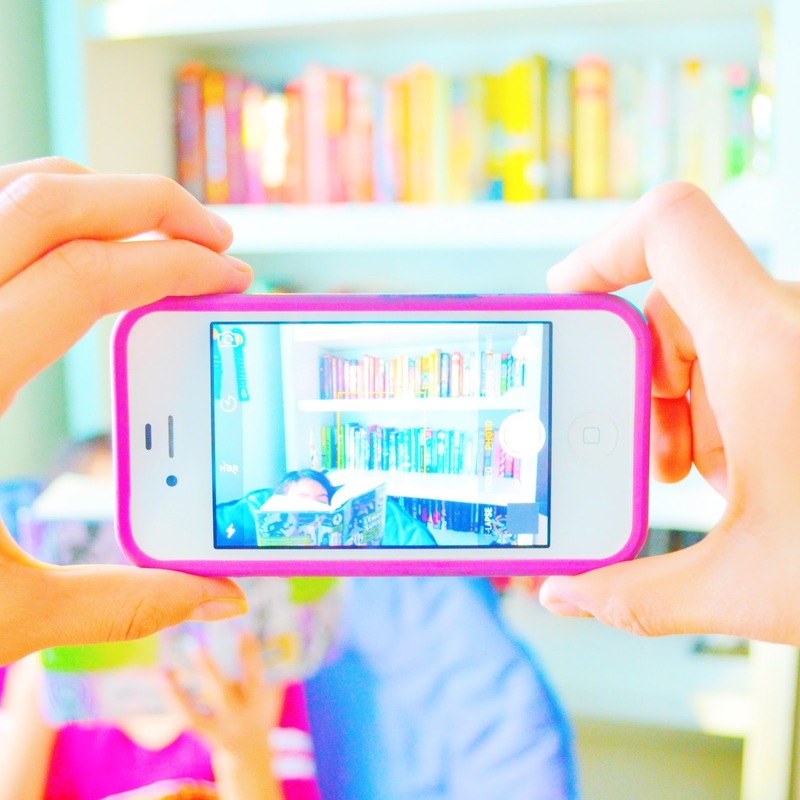 Your photos are so amazing! <3 I really love how bright and colorful they are. It's really great to see how you organize your shelves too. I'm always curious about other people's methods. Mine are currently by genre! Thanks Alexa! And I may have to look into genre-classified shelves-- this is actually the first time I've heard of that organization method before! I'm sorry to hear about that, Salma. 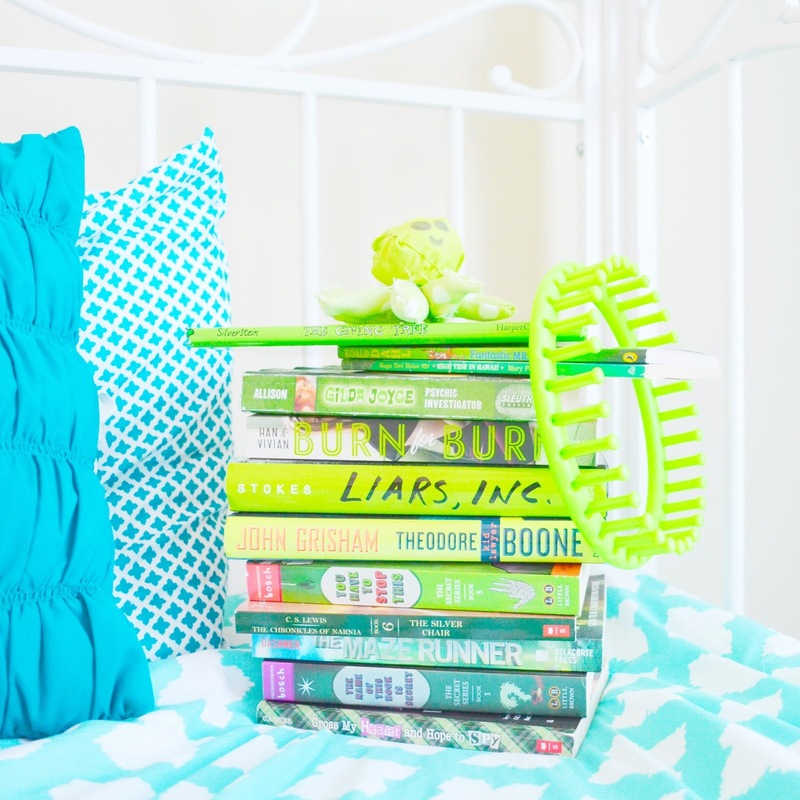 I've found that stacking books by color, author last name, or series can save space and be pleasing to the eye! I can't believe I didn't see this before! 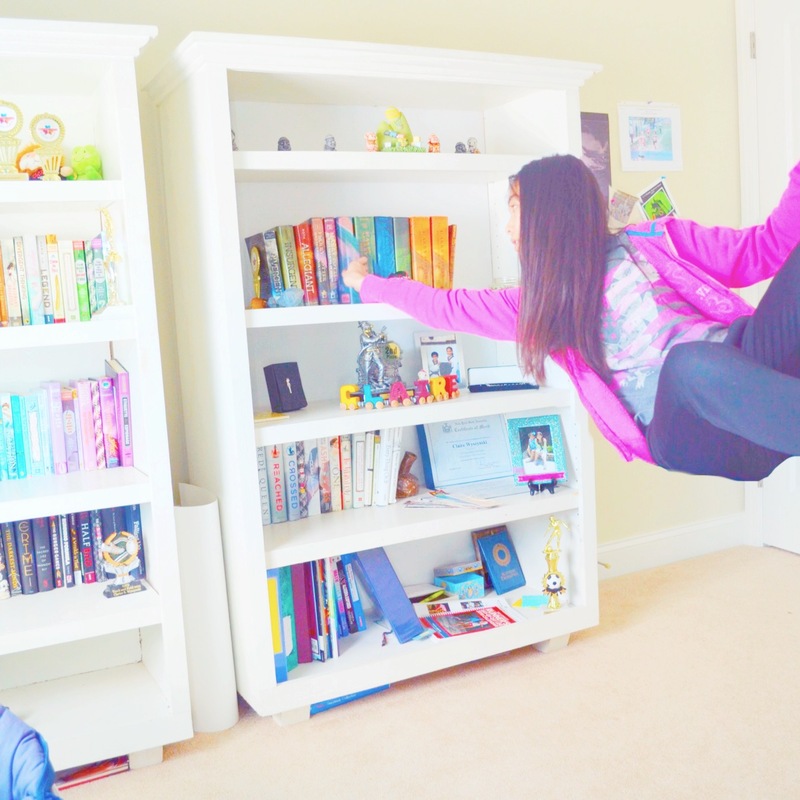 I absolutely love your shelves, Claire! They are so bright and colorful! 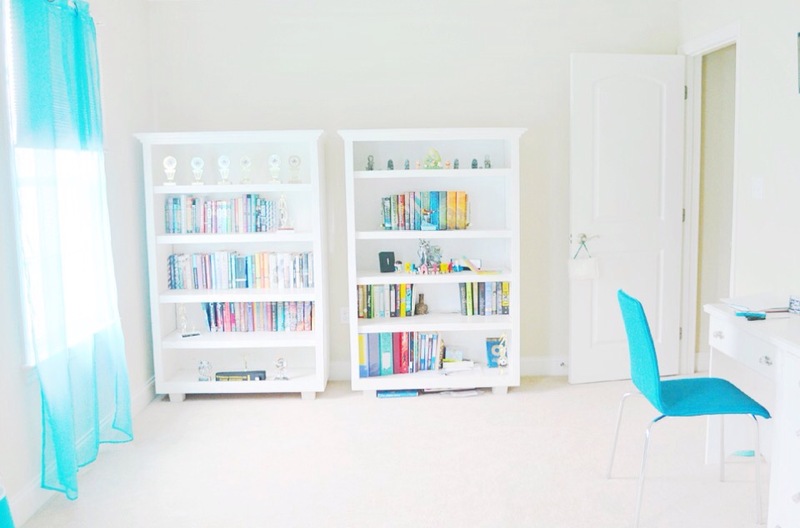 I need all the bookshelf inspiration I can get and yours look amazing! I'm constantly wanting to change them around but every time something feels off to me. One of these days I'll manage to figure it out. Great job on yours! Thank you Annalisse! I wish you best of luck in re-organizing your shelves! Thanks Sophie! Organizing books by color can be so much fun. I think it's a clever idea to sort black books by title colors. I'm looking forward to sharing photos! I am new to your blog and just adore your photography.